As evidence of just how much I love this pattern, when I was working on this post I created a folder called “Bronte Tops” and put this one in the sub-folder “Sangria”. I’m just so sure that I’ll be making more of them! 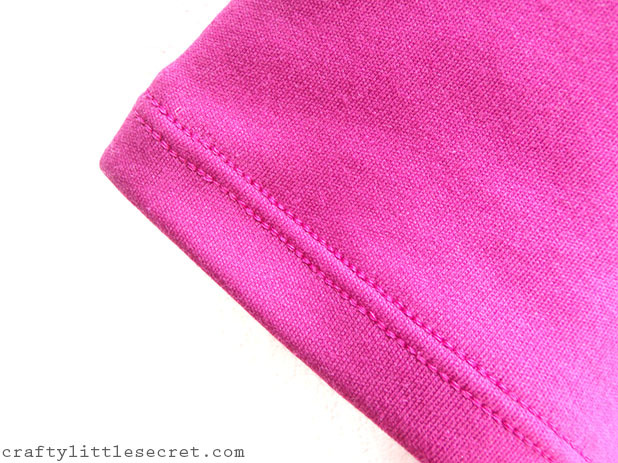 Jennifer suggests using a medium weight knit with good recovery and about 40% stretch for this pattern (a detailed description of how to choose your fabric is included in the pattern). It was perfect for some beautifully intense knit fabric my mom gave me for Christmas (along with the blue fabric I used on my Blue Afternoon skirt). With a beautiful color like this, I decided to name the top “Sangria”! As is often the case, I forgot to transfer the pattern markings on half my top so I was guessing a bit with the shoulder construction. As you can see, it just doesn’t quite sit flat at my shoulders. You can see the pulling a bit where the front panel is sewn to the back (arrows). 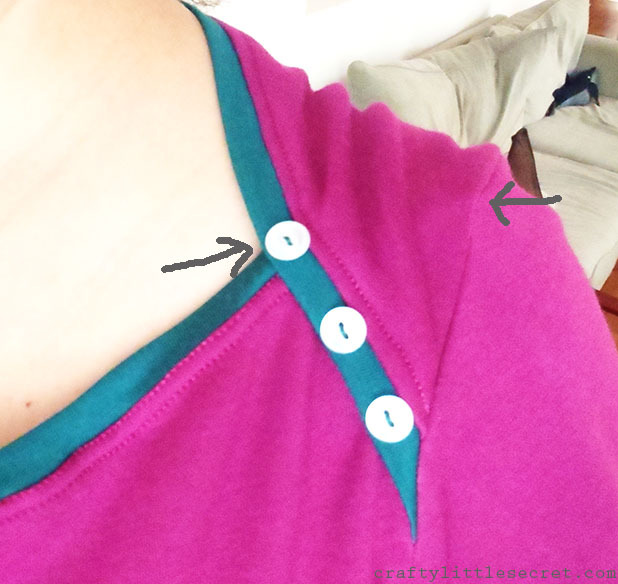 I opted to use some emerald knit left over from my Eva dress to add a little pop to the neckline and couldn’t resist sewing on a few little button details too. I knew I was saving those mini scraps for something! One of the things I love most about this top is the shape it gives me. I’ve got the bust handled, but from waist to hips I’m pretty much just a tube. The shape of this top is really very flattering from the back (even more so when I remember to adjust myself and smooth the wrinkles before taking photos! Jennifer gives the option of using a twin needle to finish the hems and neckbands, which I took because I can’t resist the opportunity to use a twin needle. I found that my hem stuck out a little too far (I ended up taking 2″ out of the side seams at the bottom of the top) and the hems on my sleeves stick out in a bell shape a wee bit too. I’m not sure if this is due to using a heavy fabric or perhaps I am stretching my fabric as I sew? Maybe Jennifer will include tips about dealing with these hems during her Sew Along. Another final note on this pattern. I’m 5’10”, a little long in the body and I like my tops to hit mid-fly on my jeans. I added 2″ to the length of this pattern and it is pretty perfect. Also, you’ve only got two more days to enter my Vintage Sewing Pattern giveaway celebrating my 100th blog post. Contest closes Wednesday June 25 at midnight (PST) and the winner will be announced Thursday June 26. Now to go back to searching for the perfect print for my next Bronte top….. 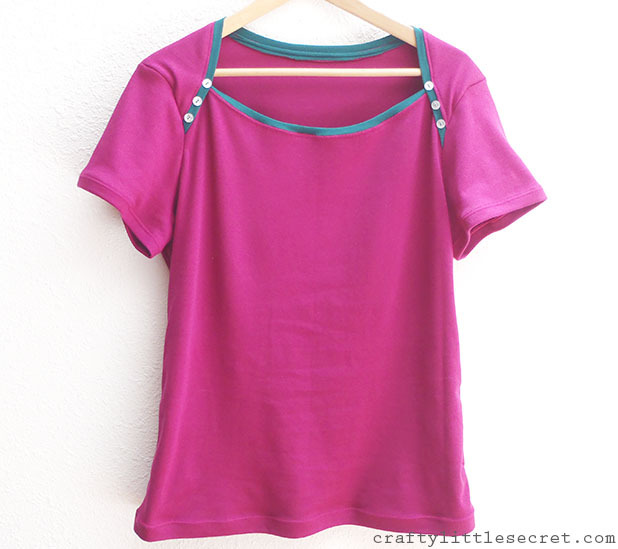 This entry was posted in Indie Sewing Patterns, Sewing Projects on June 23, 2014 by missphd.